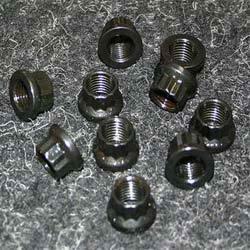 We have created a niche in the industry by offering them a wide range of Stud Nut. We use quality assured metal in the manufacturing of our Stud Nut. Also, our product is manufactured in bulk by following industrial quality norms and standards in order to ensure the quality of products. As a combination of blind rivet nut and screw, blind rivet nut studs offer an alternative or replacement for welding studs. Matching up with the exact requirements of customers, we are involved in presenting wide array of Stud Nut. 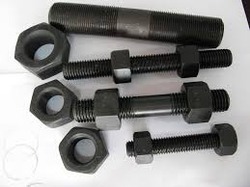 Our company holds immense experience in this domain and is involved in offering wide assortment of Stud Nut. We provide a comprehensive range of ASTM A193 Grade B-7 studs and A 194 Grade 2H nuts. These studs and nuts are made using quality tested materials and can easily withstand excessive wear and tear. We also implement the rigorous quality check procedure to ensure, that these studs & nuts are free from any kind of defect.